The most important factor of Celtic spirituality were their intellectual and spiritual leaders, the Druids (from the celtic word "druwides"). "Dru" means concrete, strong and "wid" means wisdom, vision. The correct translation therefore would be people of deep wisdom or people of deep vision. The Druids worked as priests, healers, clairvoyants, teachers, musicians, poets, judges and astrologers. Because of their deep understanding in phenomena of nature they had a lot of power. They were appointed to almost all-important positions, but without coming to the fore. The Druids were afraid that their knowledge could have a harmful effect on people. Therefore they didn't write down their experience and rites although the Celts had the knowledge of writing. The Druids knew about the healing effects of plants and kept contact with natural beings. They consired trees and "power-animals" to be especially important. They believed in unity of men and nature and they taught that the energy of nature had a great influence on our actions, our thinking and feelings. 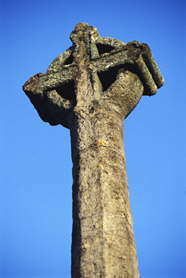 The close connection to nature was due to the predominantly rural Celtic society. In this context their worship of landscape, the earth and animals become comprehensible. The presence of super-natural powers was part of their world. Worshipping their ancestors was self-evident to the Druids and one of the Druid's main duties was the contact to otherworldly spheres and to mediate between spiritual world and man.